Ursula has been interested in photography ever since she was a little girl, thanks to her father who gave her the first camera – Kodak Instamatic. Around the age of 14, she started developing her own photos in the dark room. After a while, her father gave her a Leica M3, and Ursula says this camera has been following her for her entire life. Ursula is a self-taught photographer, but she is curious and interested in building her own cameras. 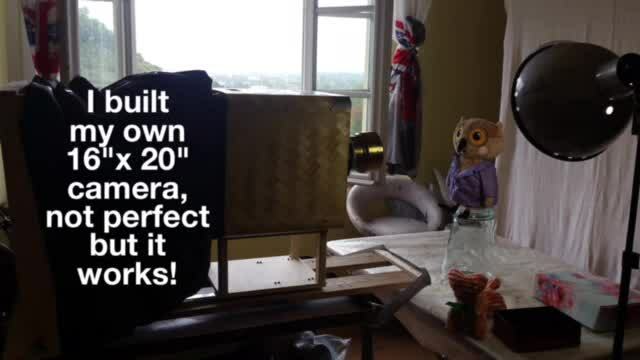 She made a camera obscura out of an iPad box and a champagne box. She is grateful that the information is available online, and she uses all the resources she can to grow her knowledge. Although she started with film photography, she has used digital cameras too and learned how to use Photoshop. However, she didn’t like that digital photography didn’t allow her to make ultra large format photos. 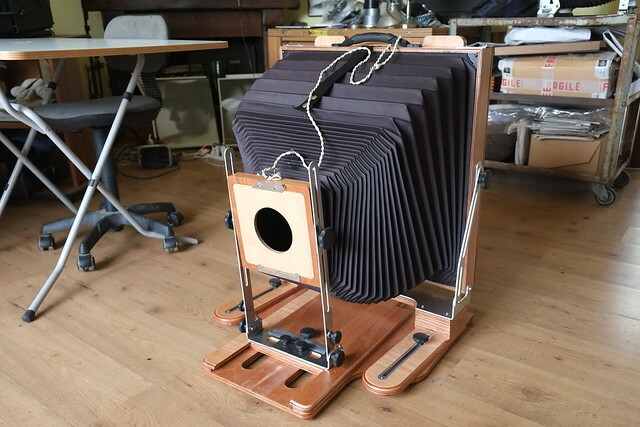 So, in 2012, she bought the first large format camera. 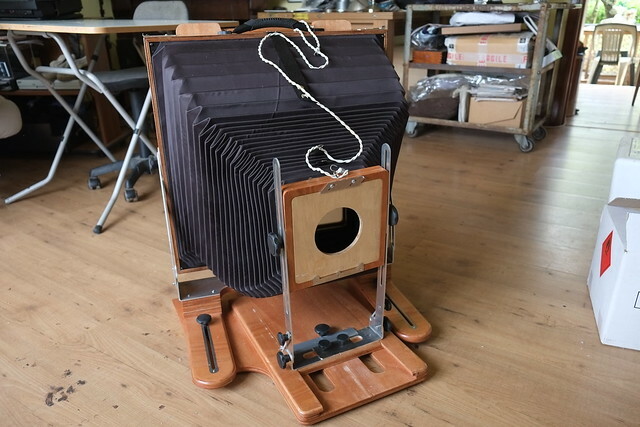 Thanks to her dedication, she learned how to build her own 16″ x 20″ ultra large format camera. She collected the materials and made everything from scratch. She cut out the pieces and even formed and painted the bellows herself. 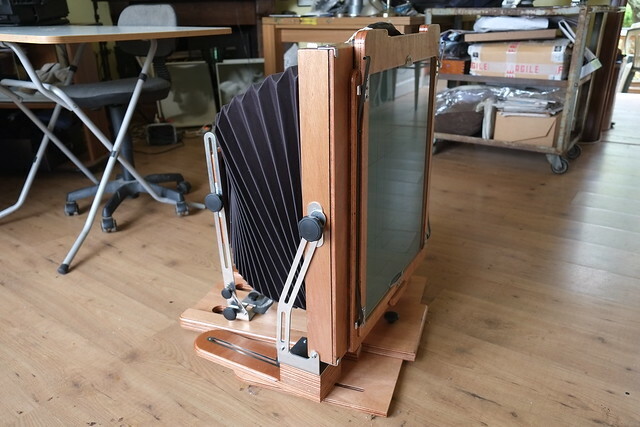 She added an Aero Tessar Bausch and Lomb 24 inch lens, and you can see some of the example photos in the video below. In a lot of Ursula’s photos, you can see her daughter, Annick. She explains that her mother “makes an entire photographic studio appear out of nowhere.” She saw this studio in their living room, but also in the countryside and the garden. Annick explains that this camera doesn’t allow “mistakes” like blinking or moving the eyes. However, the fact that the photos aren’t perfect may be exactly why they are so special and beautiful. If you’d like to see more of Ursula’s work, make sure to visit her Flickr page and YouTube channel.